Many of our business clients have a side business or other venture that they spend money on. Does the IRS allow you to deduct expenses off your tax return? The answer is yes and no! They want to determine if the venture is a business or a hobby. Let take example of a person that races motorcycles as their side interest. They win some races and take-home prize money. The winnings are considered income. Being a smart business person, they set up a business as motorcycle racing company (Big Guy’s Racing as a sole-proprietor). 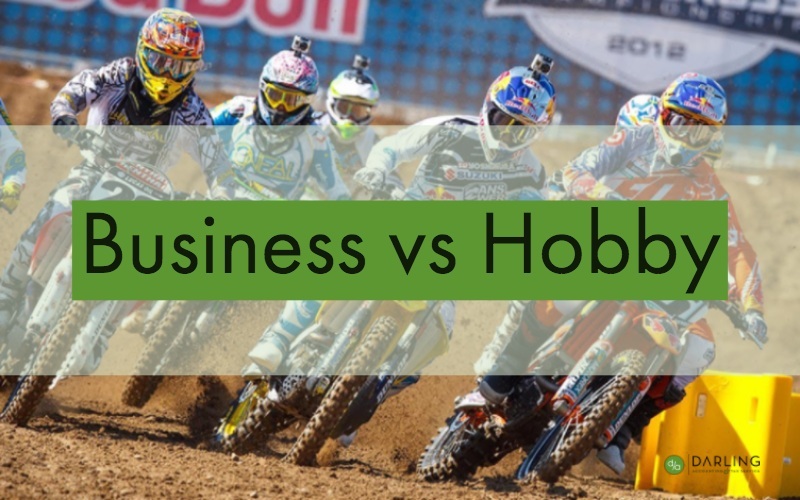 They know that if it’s a hobby that the IRS will only let them take business loss in the same amount as the income. You spend more on engines, parts and customizations and travel to all the events than you make in winnings. However, if you report all your income on a Schedule C, you can claim all the expenses in full. You won’t need to itemize to claim these expenses and don’t have a limitation based on the reportable income. This sound pretty good! Not so fast. The IRS looks at these types of ventures to see if it’s a bona fide business or a hobby very closely. How you run the business. Do you have good business records? You must run it like a real business. Do you advertise or promote your business? How much time you spent. If you only spend a few hours a month it might send a message that you are not trying to run a real business. Are you an expert at the business? How much do you know about what you are doing? Do you have an education that helps in the business that would make the venture successful? Track record (no pun intended). Have you had success or failed in similar endeavors. What types of losses you have. When you start a business it’s normal to have losses or missteps. If these things where within your control that might raise concerns. Did you change business practices? Doing the same mistake over and over and losing money sends the wrong message. The IRS expects you to make money eventually. If you don’t they at least want to see a profit in at least 3 of the last 5 years. Are you doing more business. Did you increase your business assets (Real Estate as an example)? Are you are continuing to lose money and not bank assets; the IRS may question how you intend on sustaining your business. Kind of a strange question. They look to see if you enjoy yourself at what you are doing. If you put little effort into what you are doing and not making money, you may be sending the wrong message. This all just goes to show that it requires some efforts to run a business. So, if you’re tempted to run a side business for extra cash and not so interested in growing that business, think twice. The IRS disallowing deductions later in an audit could cost you dearly. Don’t be tempted to make your hobby bigger that it is.